The man was hit by a car on the Naas Road. GARDAÍ HAVE LAUNCHED an appeal for information after a man in his 20s was killed when he was hit by a car on the Naas Road this morning. It happened inbound past Newlands Cross at around 3am. The man’s body remained at the scene until late this morning as forensic tests were carried out, and major traffic restrictions were put in place. They have since been lifted. 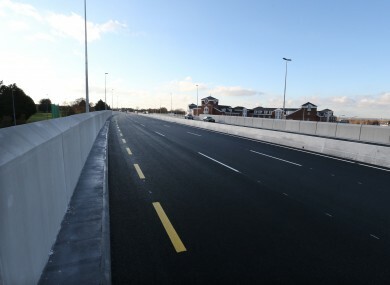 Investigating gardaí say they’d like to hear from anyone who was travelling either into the city or towards Naas on the dual carriageway, between Newlands Cross and the M50 turn off, between the hours of 3am and 4.30am. Any witnesses are being asked to contact Clondalkin Garda Station on 01-6667600, the Garda Confidential Telephone Line on 1800 666 111 or any garda station. Email “Appeal for information after man in his 20s killed in 3am crash near Newlands Cross”. Feedback on “Appeal for information after man in his 20s killed in 3am crash near Newlands Cross”.